What if this tax season, you could earn air miles for charging your income tax payment to your credit card? After all, doesn’t everybody deserve some kind of rewards for their patience with forms and filing? Fortunately, there are several credit cards on the market that can actually translate your payments into miles rewards–perfect if you’re looking forward to summer travels. In reality, when you charge your income tax to your credit card, it cycles through the card’s corresponding tax facility rather than going directly to IRAS. Only a few credit cards are connected to such facilities–primarily Standard Chartered Visa Infinite, HSBC Visa Infinite, HSBC Revolution and DBS Altitude Visa. In these cases, the tax amount indicated in your IRAS NOA (Notice of Assessment) is first charged to your card, and then credited to your selected bank account. You’ll earn rewards for the amount charged, but you’ll still need to pay IRAS yourself–so the process is more about earning miles than convenience. Depending on the credit card, you’ll need to pay back the amount charged to your card by the next statement (make sure you have enough cash on hand!) or, in some cases, in 0% interest monthly instalments split across 12 subsequent months. Regardless of how you pay back this amount, you’ll also need to pay the card’s tax facility a processing fee. Actually, this processing fee is almost always higher than the rewards rate you’ll earn for charging your payment. 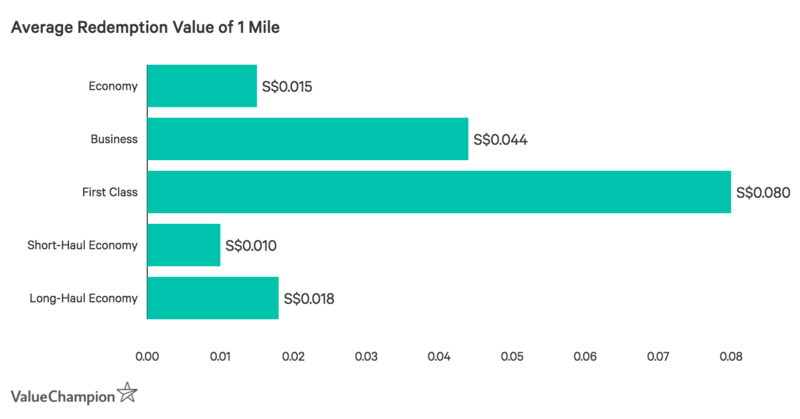 However, the fee you pay for the miles is basically your ‘buy rate’ and offers an extraordinarily deep discount (as low as 1.14 cents per mile). To begin with, these miles earned are subject to your income tax level as well as the credit card you use to charge your payment. That being said, the best credit card for charging your taxes is Standard Chartered Visa Infinite Card. Your income tax payment earns 1.4 miles per S$1 if you spend S$2,000 on your card that month (1 mile per S$1 if below), which is offset by a 1.6% processing fee (based on your total tax amount). This translates to an incredible ‘buy rate’ of just 1.14 cents (S$0.014) per mile–the most cost-effective rate on the market. Here’s an example of how you can earn with SC Visa Infinite Card. If your income tax payment is about S$5,360, you’ll earn 7,500 miles for just S$86 (processing fee). You can redeem your miles with Singapore Airlines for a 1-way trip to Denpasar, Bali. If you were to book that trip out-of-pocket, you’d spend nearly S$495! In other words, you could be enjoying a S$409 discount on your next vacation. Not everyone is in the 11.5% tax bracket, and SC Visa Infinite Card is quite expensive in itself given its S$588.5 annual fee with no waiver. In fact, you need to earn S$150,000/year just to qualify, which falls into an even higher tax bracket (and therefore would also yield even more rewards). Still, there are a few options for the average spender. The best option for the average consumer is HSBC Revolution Card, by far. First of all, the card itself has a relatively easy fee-waiver (exemption with S$12,500 annual spend–about S$1,042/month) and you can qualify with just S$30,000 salary. In terms of charging your taxes, you’ll earn 0.4 miles per S$1 spend and pay a 0.7% processing fee. That translates into a still impressive ‘buy rate’ of 1 mile for 1.75 cents. So no matter your tax bracket, you’ll easily accrue discounted air miles which can offset your upcoming summer vacations. It may seem odd, but the miles you earn can be redeemed at different values, depending on your travel booking. 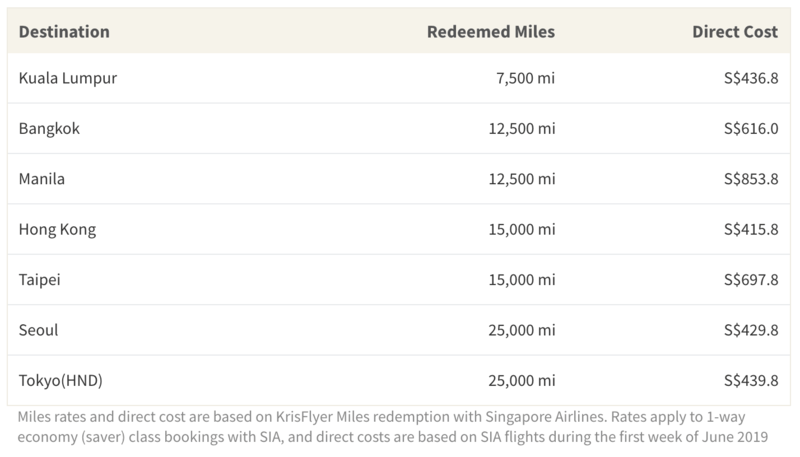 On average, 1 rewards mile has a redemption value of about 1 cent if you fly economy class within SE Asia. This means that buying miles through tax payment can actually lose money if you do it with certain cards and book economy (as shown in the table above). This isn’t always the case. In fact, you’re much better off when you opt to fly in comfort and style. In fact, 1 mile redeems for 4 cents when booking business class and up to 8 cents when booking first class. Essentially, this means that earning miles through tax payment could generate a profit, even after taking the processing fee into account. In other words, charging income taxes to your credit card is an excellent opportunity to upgrade your travel experience. All-in-all, paying your income taxes can actually have a silver lining. If you have a little give in your budget and can afford the processing fee, you can easily rack up cheap miles for charging tax payments to your credit card. If you are able to rack up enough miles for a business class upgrade, this strategy could be even more economical. Either way, this tax season could serve as a perfect opportunity to enjoy your summer vacation at a discount. The article originally appeared on ValueChampion.